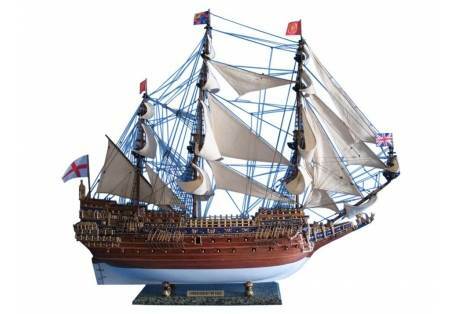 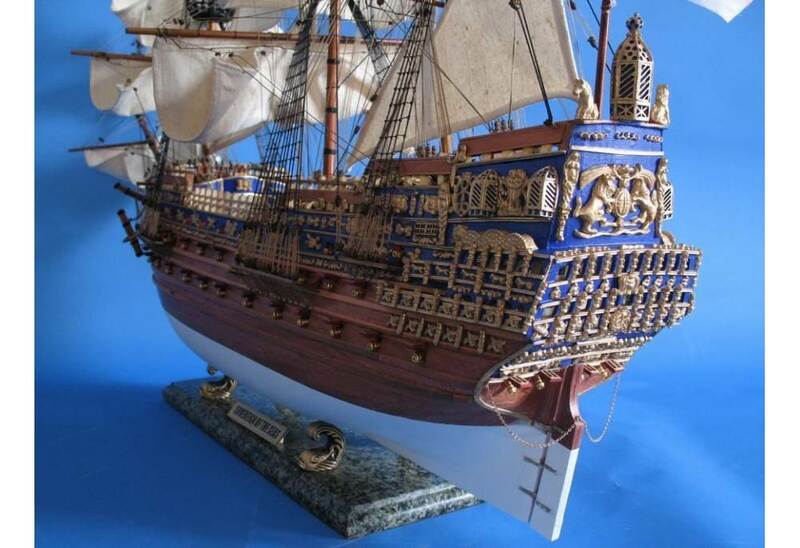 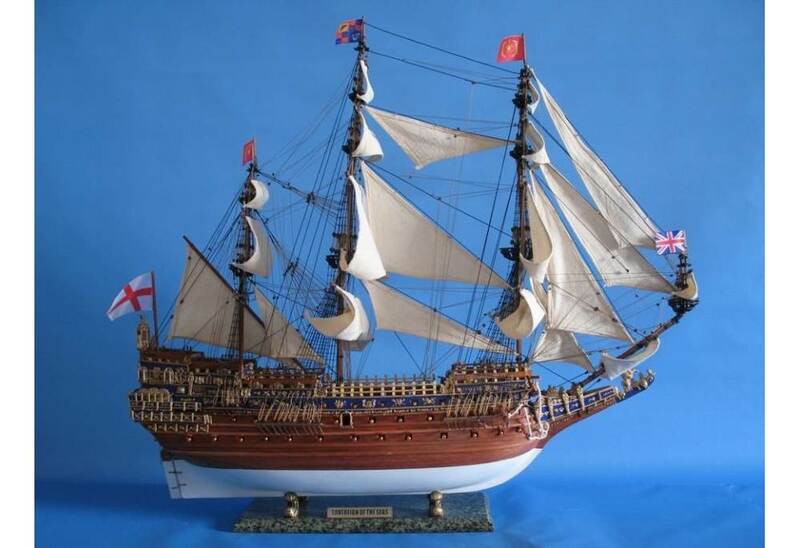 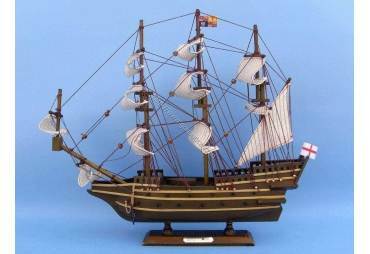 → Model Ships>Tall Ships>Sovereign of the Seas>Tall Ship Sovereign of the Seas Model Limited 39"
Tall Ship Sovereign of the Seas Model Limited 39"
MODEL SOLD FULLY BUILT - THIS IS NOT A KIT! 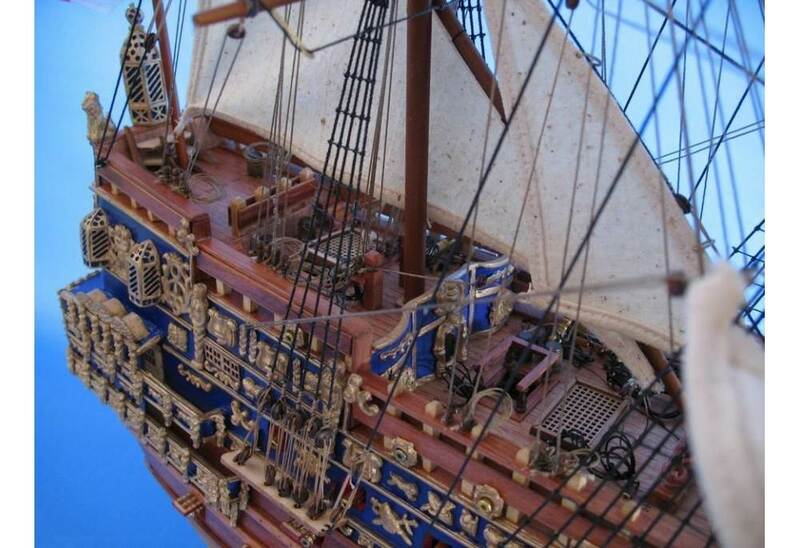 Requires hundreds of hours to build from scratch (not from a model kit) by a master artisan. 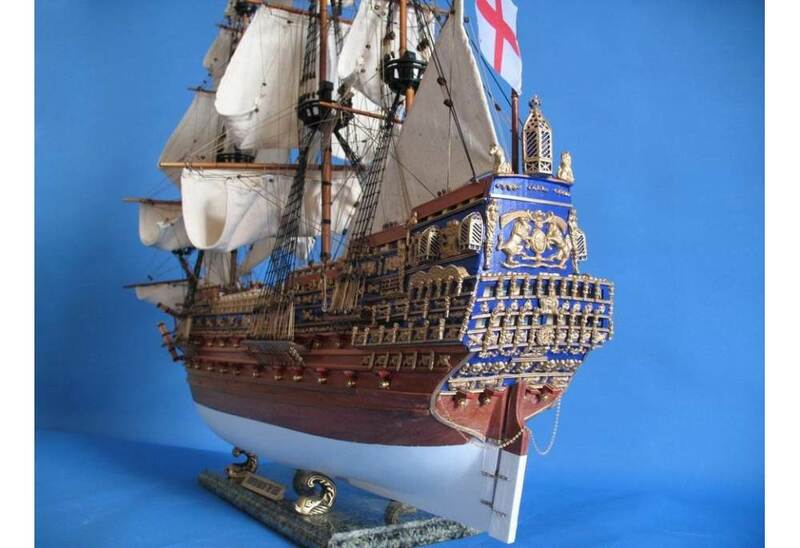 Includes a numbered Certificate of , as only 25 will ever be made. 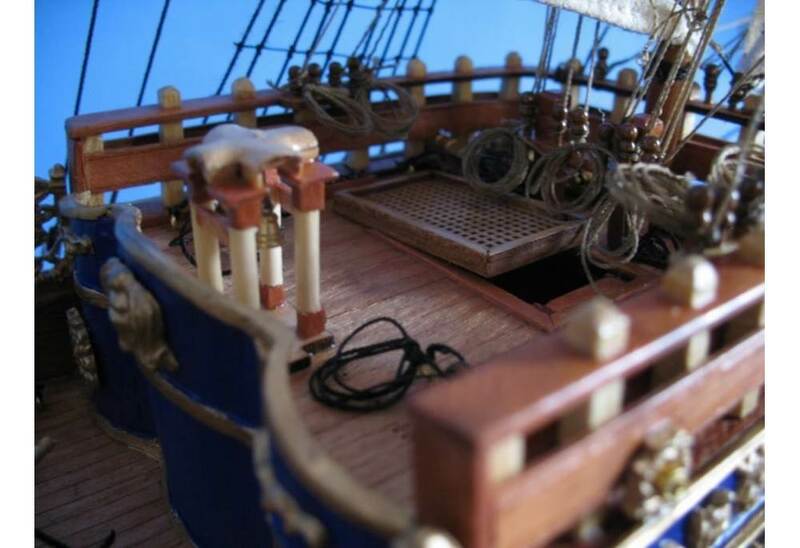 Plank on frame construction (a difficult task where each individual plank is added to the hull one at a time). 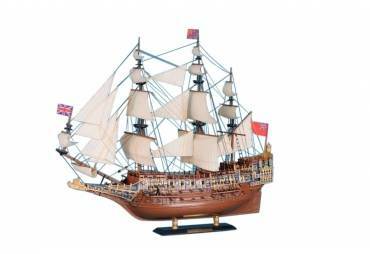 Build from over 1000 pieces and with rare, high quality woods such as light ebony, rosewood and black wood. 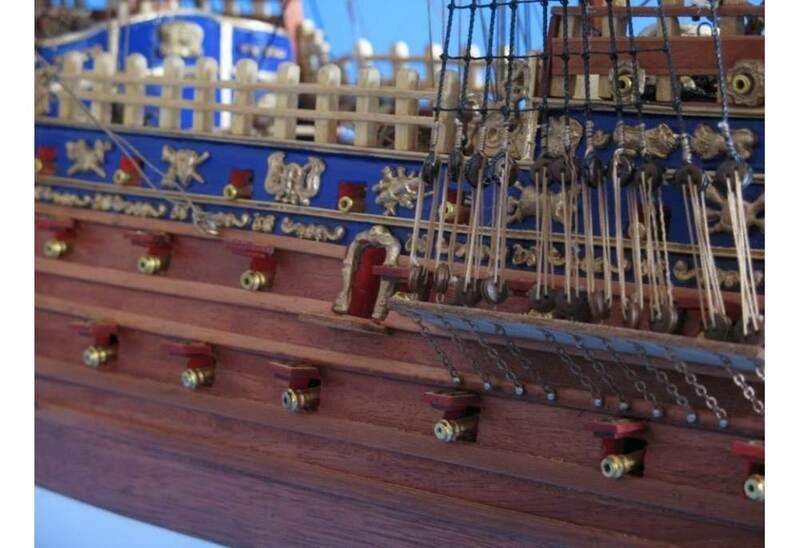 Look at the amazing details on the stern and hull of the model! This model ship sits flawlessly on a large base made from wood between four arched dolphins (marble base pictured). 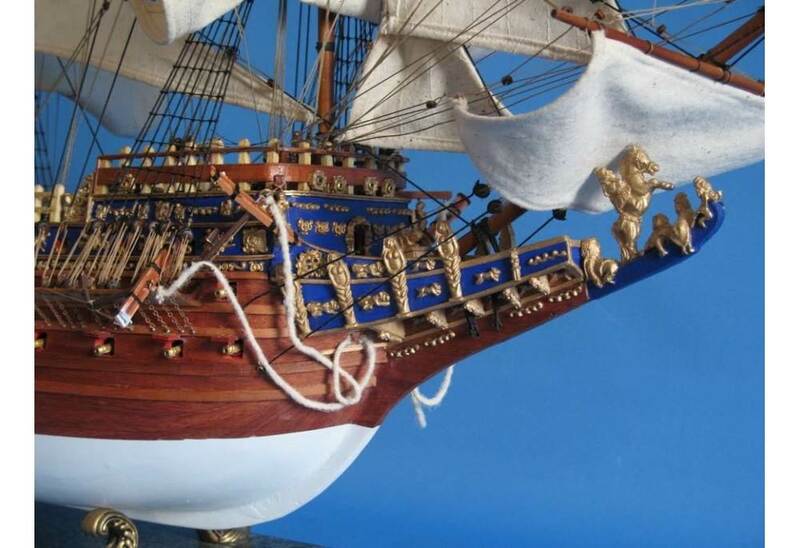 Machine turned brass cannons, metal anchors and cloth flags. 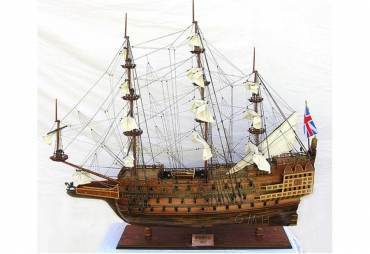 For the construction of this model, a lot of research was doing using sources such as museums, drawings, copies of original plans and photos of the actual ship. 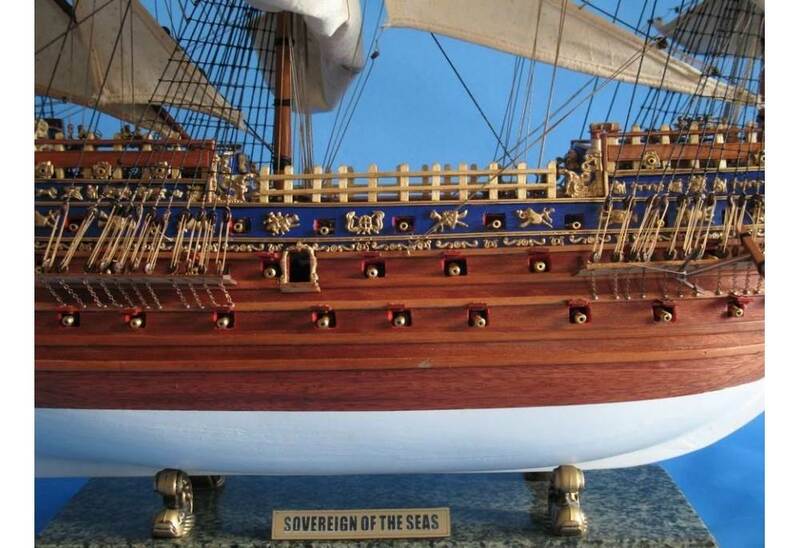 Sovereign of the Seas 14"